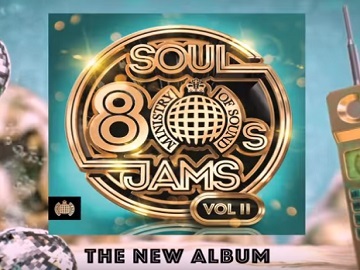 Ministry of Sound promotes, in its latest advert, the “80s Soul Jams, Vol. II” album, consisting of 60 tracks of soul-pumping, dance-floor groovers and legendary disco anthems. With hit singles from Michael Jackson, George Benson, Rick James, Billy Ocean, Lionel Richie, Marvin Gate, Thelma Houston, The Temptations, The Jacksons, D-Train, and many more, the album is expected to be released on February 1st, 2019. Now it is available for pre-order for £9.99 in iTunes. The advert features the Shalamar’s “I Can Make You Feel Good,” “Upside Down” by Diana Ross, “Never Give Up on a Good Thing” by George Benson, “I Can’t Go for That (No Can Do)” by Daryl Hall & John Oates, “Taste of Bitter Love” by Gladys Knight & The Pips, “Jump to It” by Aretha Franklin, “Get Down on It” by Kool & The Gang and “Give It to Me Baby” by Rick James.